Family run, 7-barrel brewery with a wide-ranging selection of hand crafted ales. 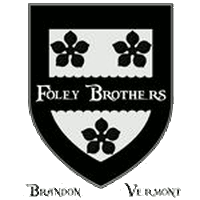 Nestled in the foothills of the Green Mountain National Forest, Foley Brothers Brewing put their seven barrel system to optimal use – producing a wide variety of styles from the coveted IIPA’s Prospect, Pieces of Eight, and Fair Maiden to rich stouts and barrel aged sours. The ever changing menu of beers are available for tasting as well as purchase by growler, bottle, and selected varieties now available in cans. Our tasting room is in a vintage barn and shares space with the family’s Neshobe River Winery. There’s also a B&B on site.